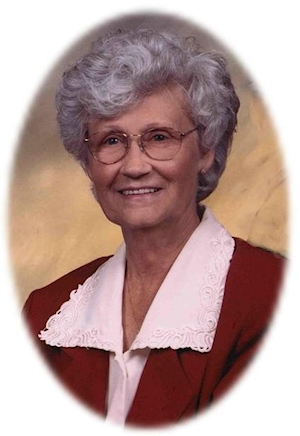 Obituary – Bezdicek, Wynona June (Spillman) « Perry High School Alumni Association, Inc. The funeral for Wynona June Spillman McGuar Bezdicek, 79, of Perry, will be 2 p.m. Friday, Oct. 9, 2009, at First Christian Church, Perry. The Rev. Martin Foster will officiate. Burial will be in Grace Hill Cemetery, Perry. Arrangements are by Brown-Dugger Funeral Home, Perry. 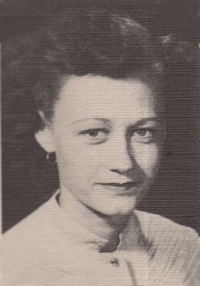 She was born June 6, 1930, in Perry to Henry and Sibyl Guthrie Spillman and died Tuesday, Oct. 6, 2009, at her home. She was a 1950 graduate of Perry High School. She married Raymond Lee McGuar June 6, 1950, in Orlando. They lived in Enid for 17 years, where she worked at Gibson’s and Newman’s Clothing Store before moving to Perry in 1972. He died May 24, 1995. She married Charles J. Bezdicek Nov. 8, 1997, in Perry. He died Nov. 8, 2008. She worked at Sears, Mongomery Ward’s, Rags-dale’s Hardware and the city of Perry until May 1998, retiring after more than 20 years. She was a member of First Christian Church, Women’s Guild and Perry Progress Club. Surviving are two sons, Randy McGuar of Perry and Ricky McGuar of Glencoe; one stepson, Robert Bezdicek of Tulsa; one stepdaughter, Tana Fraire of Perry; one brother, Jack Spillman of Tulsa; four granddaughters; and seven stepgrandchildren. In addition to both husbands, Raymond and Charles, she was preceded in death by one stepson. Memorials may be made through the funeral home, 1010 N. 7th Street, Perry, OK 73077 to First Christian Church or American Cancer Society.